I’ve got a bit more space to work with now. Outside of perhaps the small (but highly dedicated) group working in the Digital Humanities, I’ve not generally found that historians are all that interested in talking technology. To be certain, a good portion of that is doubtlessly that technology isn’t normally at the centre of the work, though it does do wonders to facilitate it. When looking around a university library, the consultation rooms of an archive, or what a dedicated local carts to a Heritage Ottawa lecture, it becomes clear that the computers that support us comes in all shapes, sizes, and price points. As part of my new spirit of sharing, I thought it would be fun to share some of the tools I use as someone working in three different “worlds” of history. Since 2014, my workhorse has been a mid-2014 13″ retina MacBook Pro. Image: iFixit. I suppose that the main thing is that whether I’m at home or on the road, since 2014 everything has been done on a mid-2014 entry-level 13″ MacBook Pro.1Only regret? Not opting for 256GB of storage. The machine has proven light enough, quick enough, and has enough stamina to take me through the day. It replaced a 2010 Dell Studio 1458,2Mine was a Core i5 with 8GB RAM and a 500GB spinner. which worked quite well too, although the wheeze of the fan proved a major distraction. 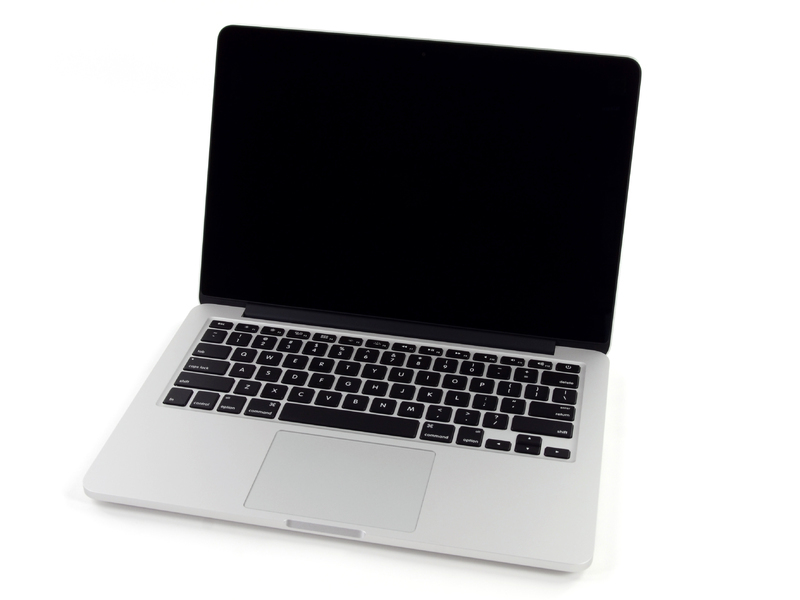 As I’ve ranted on Twitter about on occasion, I quite like the Mac, but it’s not magic. I was satisfied with using Windows though wanted a change mostly for the sake of change. Moreover, though I am comfortable with Linux,3In the last few years, I’ve been partial to Mint. the lack of Acrobat Pro (at least running natively) makes it a bit of a non-starter. 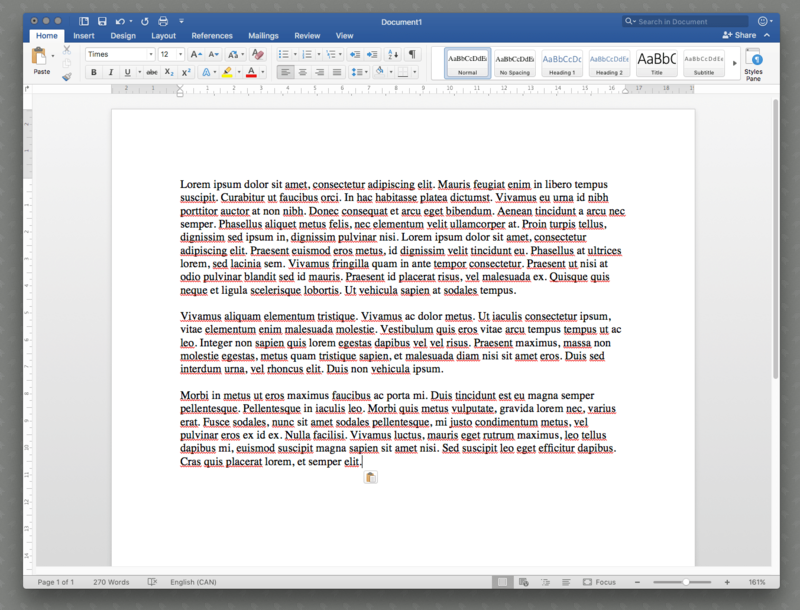 The creation and manipulation of PDFs are among the most common tasks I perform. For me, however, the specific computer may matter a little less than having generous screen real estate. Regardless of what I’m working on, I prefer to be able to have a number of windows up and visible. Although the task switching built into MacOS, Windows, and Linux are great, I prefer to have the information showing while I work from it. While I had been reduced to a single monitor for a while, I’m back up to two. 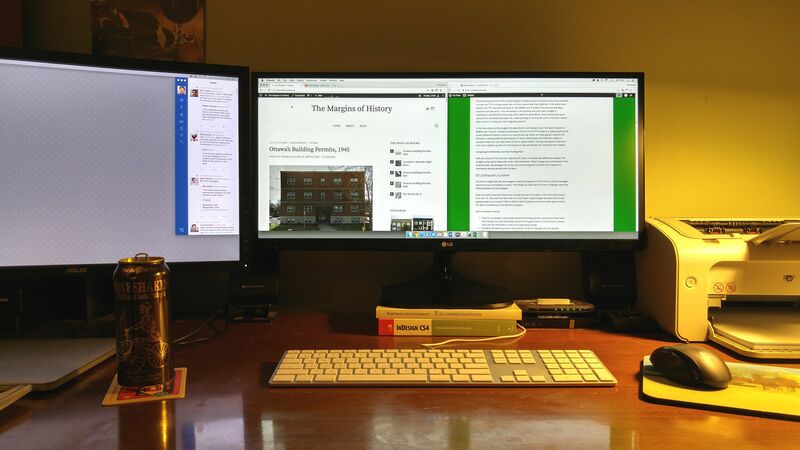 The one I stare at directly is an LG 29UM58, a 29″ ultrawide, which allows me to have three documents, including the one I’m working on, up at a given time. The other, an Asus ProArt PA248Q that sits to my left, there is normally a document of a lower priority, Twitter, and my email application4It used to be Apple Mail. I would have liked to have used Outlook, but I’ve got the pound-the-CPU-pound-the-battery problem that doesn’t seem to have been solved. visible. On the desktop, I’ve been using the same tiled wallpaper since 2012. Other hardware? I switched up to the standard Apple wired keyboard this year because keyboard shortcuts and small differences in key mappings became increasingly obnoxious. Since I cheaped out on the storage in my laptop, when at home, it’s plugged into an affordable 3TB external hard disk. This has proven to be enough space to satisfy my digital packrat needs. The mouse I use is a Logitech MX705, which I not only love for the feel, but the batteries last, well, I haven’t changed them since I bought it this Spring. Finally, while I do print a fair amount, I’ve stuck with the HP P1005 that I bought at Future Shop almost 10 years ago. It was a $40 back-to-school door crasher with next-to-no features but does what I need it to. WriteRoom has been a distraction-free joy. In terms of software, aside from the aforementioned Acrobat Pro, I have fairly basic needs. 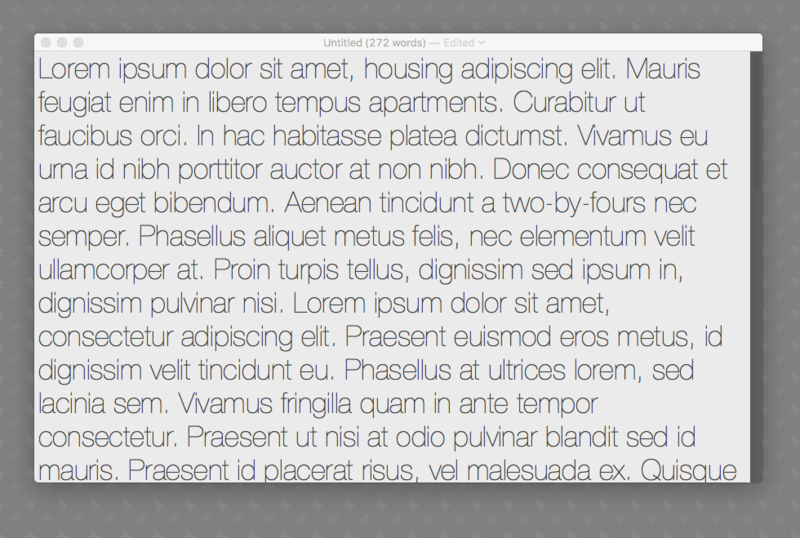 When looking to avoid the distraction and just pound out some text, it’s WriteRoom and/or Ulysses I look to. Otherwise, I spend a lot of time with Microsoft Word. Word is where I probably spend most of my time. At least I do when I’m as productive as I should be. Although an example of its abuse, Excel does work well as a standard database of such things as tracking which records you’ve researched and is something I make great use of. 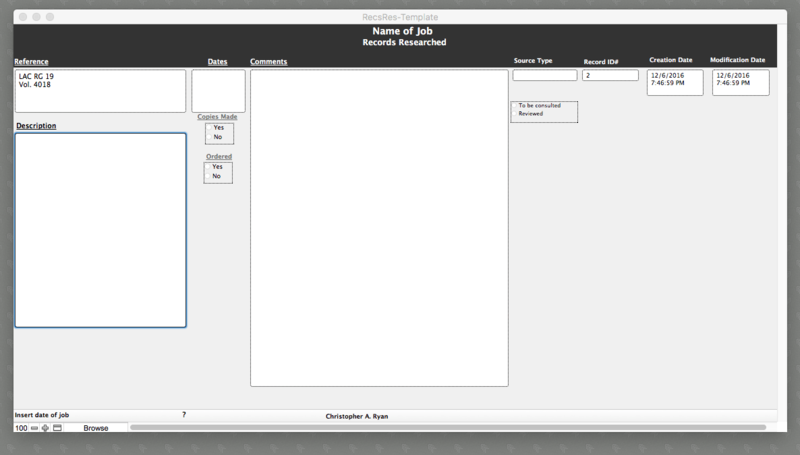 FileMaker Pro is even better for this, but isn’t often the star of that show. Filemaker Pro gets a little love, but maybe less than it should from me. I also spend a whole lot of time collecting materials from various archives. Another thing I do a heck of a lot of is collect materials from various archives. When I’m collecting materials for myself, I just tend to either use my phone or camera freehand. 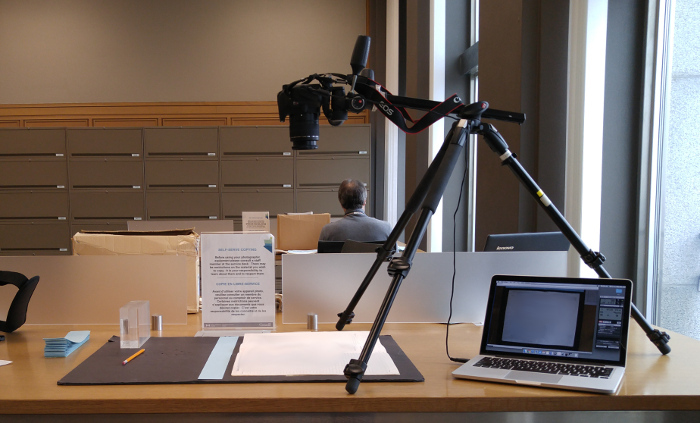 When collecting for more official or important things, I tend to use a tripod with a cantilevered centre post and a Canon Rebel T5 tethered to my laptop for the collection. These photos eventually make their way into file-level PDF collections, which I prepare using XnConvert on the Mac or, if on a Windows workstation, IrfanView. After processing, the images are collected into a single PDF, given a footer with the source citation, and bookmarked. Finally, there is one piece of hardware that I didn’t mention: the desk. While she’s out on some great adventures around the world, I’ve had the opportunity to babysit a real keen antique desk owned by my friend (and fellow northerner), Hilary. 1. ↥ Only regret? Not opting for 256GB of storage. 2. ↥ Mine was a Core i5 with 8GB RAM and a 500GB spinner. 3. ↥ In the last few years, I’ve been partial to Mint. 4. 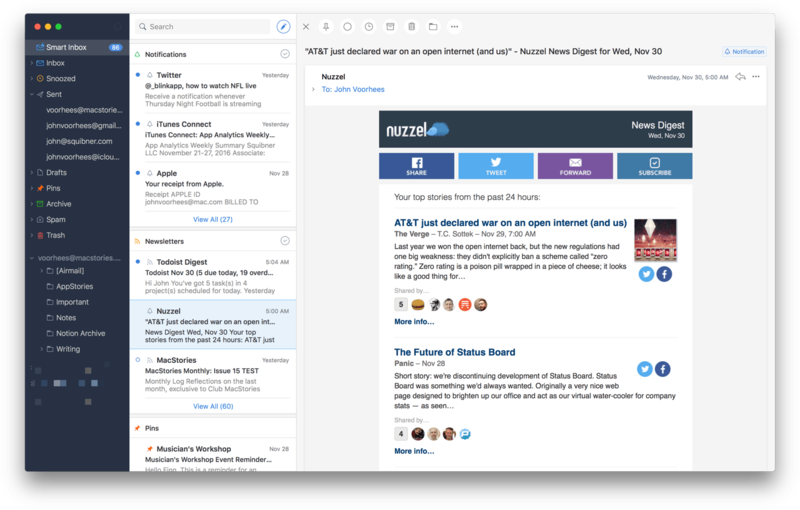 ↥ It used to be Apple Mail. I would have liked to have used Outlook, but I’ve got the pound-the-CPU-pound-the-battery problem that doesn’t seem to have been solved.